Should Guitar Players Learn to Read Music? "Guitar players have to know how to improvise, to go with the flow, and be creative. Trying to analyse and write down the complicated combination of notes most guitar players play is a waste of time and effort. Just learn the chords, memorize typical chord progressions (the usual way chords go together), learn how to strum in different tempos, and go from there." All of this is true, as far as it goes. 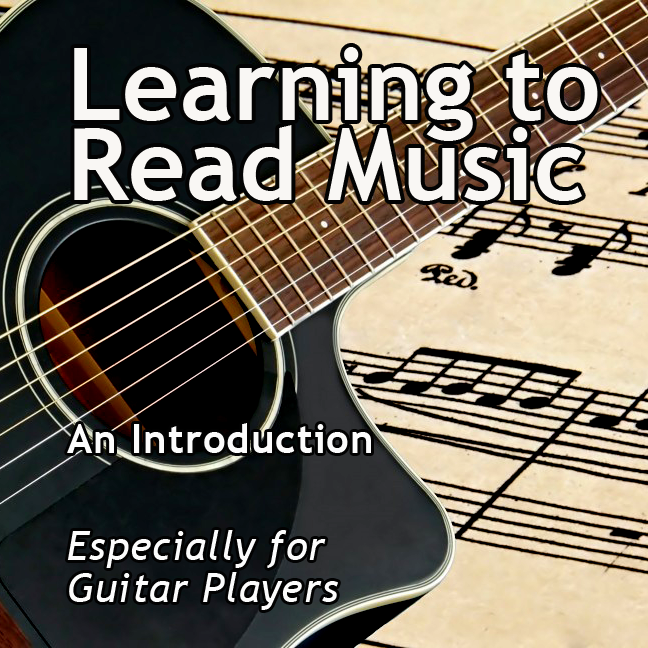 It reflects the way most beginners learn the guitar: they learn chords and simple strum patterns, and don't really have to know what notes they are playing. It makes a lot of sense, because it is a very effective way to fairly quickly start playing along with songs on your guitar. But it can also be pretty limiting. It can give beginners the idea that the guitar is nothing more than a chording machine. Perhaps more important, they will have to rely completely on memory for anything other than bare bones chording. For example, let's say your teacher, band leader, or fellow band member asks you to play a bit of melody. Imagine your group is playing the Christmas song "Joy to the World" and they want you to take the lead for one verse. Yes, you can wing it, play "by ear", figure it out and memorize it, and chances are you will remember it, because "Joy to the World" just basically goes up an down the scale. But wouldn't it be good to have some help. "Oh yeah, I see I play a G there and it ends E-D-C." Just that information alone could be the difference between doing it correctly or incorrectly. The fact is, learning to read is actually quite easy. And taking the time to go through a course like this will open your eyes and give you stuff you'll likely never forget. In this course we give you an easy way to learn how to read traditional notation. We start by explaining how it works, move on to basic scales and simple songs for the guitar. Before you know it, you won't ever have to say again "I never learned to read music."